Within this article, we are going to show you how you can solve the pesky problem of restless legs caused by opiate withdrawal. Restless legs syndrome can be incredibly horrible for many users, due to the intensity of the condition and the fact that it can put your sleeping habits upside down. Conquering this specific symptom can help you get the much needed sleep in order to speed your recovery. 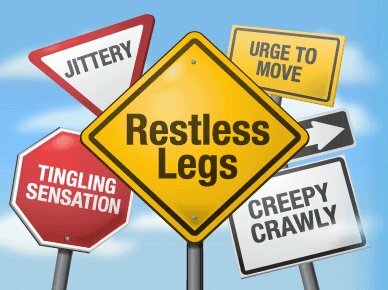 Restless Legs caused by opiate withdrawal is when your legs are jumpy, or twitching. This usually occurs when you are inactive, for instance relaxing or sat down. There are a few steps you can use to get rid of it, and speed your overall recovery from opiate addiction. The following steps also can provide relief for many other effects of opiate withdrawal, such as insomnia, fatigue, pain and many others. If you try every step below, you are almost guaranteed to experience relief from the vast majority of opiate withdrawal symptoms. Exercise is key! This will really help your restless legs, however it may also improve your overall outlook on life and improve energy, as exercise does contribute to overall happiness. This is also incredibly important, as depression is increasingly common during opiate withdrawal. Running: Running is amazing! Pushing yourself to maximum exertion can tire out your legs and make it a little easier to lay down. It will also boost your metabolism, which is good considering prolonged opiate addiction can cause weight gain. Cycling: A great alternative if you are in too much pain to run. Cycling will isolate the muscles in your legs and push them to exhaustion, making it easier to keep them calm at night. Cycling is also low impact, so if you are having pain (especially in your joints), you won’t have to worry about that. Try the exercises and stretches above before you go to sleep, and you should be able to at least calm down your restless legs. Remember, restless legs syndome from opiate withdrawal does not last forever. You’re looking at a week tops. Every night that you can beat the RLS, is a night closer to comfort. Power through it! Supplements are another great way to reduce the frequency of leg twitching. Supplements can also indirectly help with other effects that are caused by withdrawing from your use of opiates. One such supplement is Valerian Root. This can calm the body down, which can cause your legs not to twitch at all. It can also help hugely with insomnia, which is another major effect of opiate withdrawal. Valerian not only helps your legs, but also improves the quality of sleep that you receive. This means that you will feel much more refreshed when you wake up, and also puts you in a better position to get yourself through the first week of opiate withdrawal. Magnesium supplements can also be helpful. They are proven to reduce stress and ease muscle tension. By far the best supplement for restless legs caused by opiate withdrawal is CalmSupport. It can be found online and works really well to alleviate all kinds of opiate withdrawal symptoms. While this may seem odd, it does work. It is an extremely cheap and effective way of helping relieve your restless legs. Epsom Salt consists of magnesium and sulfate, which are both absorbed through the skin. Bascially, it is simply another method of getting certain minerals and nutrients that can benefit your restless legs. Epsom Baths can flush waste products out the body, and relax the nervous system! Always a plus. To try an Epsom bath, simply pour two cups of Epsom salt into the bath tub. Then simply relax in the hot water and enjoy the many benefits that a nice hot bath, and Epsom salt can provide to you! Even just a relaxing hot bath can work wonders for your mood and mind set during opiate withdrawal. Hot baths for restless legs caused by opiate withdrawal can be a godsend. When I was kicking opiates, I had a friend who worked at a hotel, and he actually let me go sit in the hot tub all day. You’ll be surprised by how well a hot bath works for the RLS, along with the cold chills and fever like symptoms. Stay in the water as long as you can, and keep it as hot as possible. Showers work, but baths are more relaxing in my opinion. While relieving any restless leg symptoms is incredibly important, avoiding them in the first place is even better. You can do this in a variety of ways, as specific substances can cause it to get worse. Avoiding nicotine, caffeine, alcohol, stress, sugar and antihistamines will help you on the journey to success! Even if none of these methods seem to work for you, you may just have to deal with the excessive leg twitching that you may be experiencing. After all, it is only temporary and it will gradually become less frequent, and eventually stop after around a week. There are prescription medications available for RLS, but people with opiate withdrawals say they are not as useful compared to someone with RLS not caused my opiate withdrawal. Best of luck with relieving this symptom! I know restless legs are the absolute worst. Try to get in a hot bath and pick up a bottle of CalmSupport. You’re very close to ending your addiction to opiate withdrawal. You can do this!